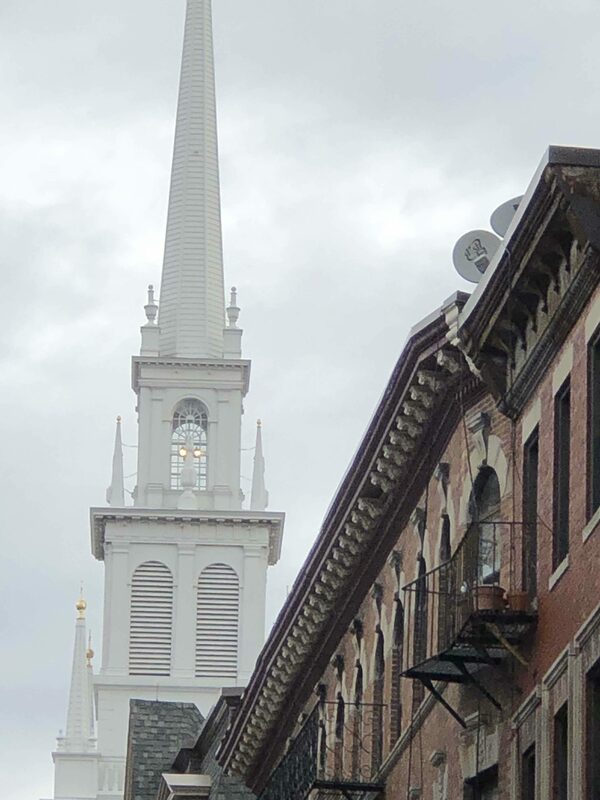 “One if by land, two if by sea, six if by Tom Brady!” The Old North Church lit its lanterns this morning to join in the celebration of the Patriots sixth Super Bowl victory. The team will be parading through the streets of downtown Boston today aboard the famous duck boats. Photo submitted by Rev. Steve Ayres.